Mason jars are one of those things I still can’t get enough of-years after the trend started! They are just so convenient for gifts and storage as well as decor. Today I’m joining with my favorite blogging friends for our monthly round up and this month is everything mason jars! The creativity of my friends blows me away and this month might just be our best round up ever! Enjoy! 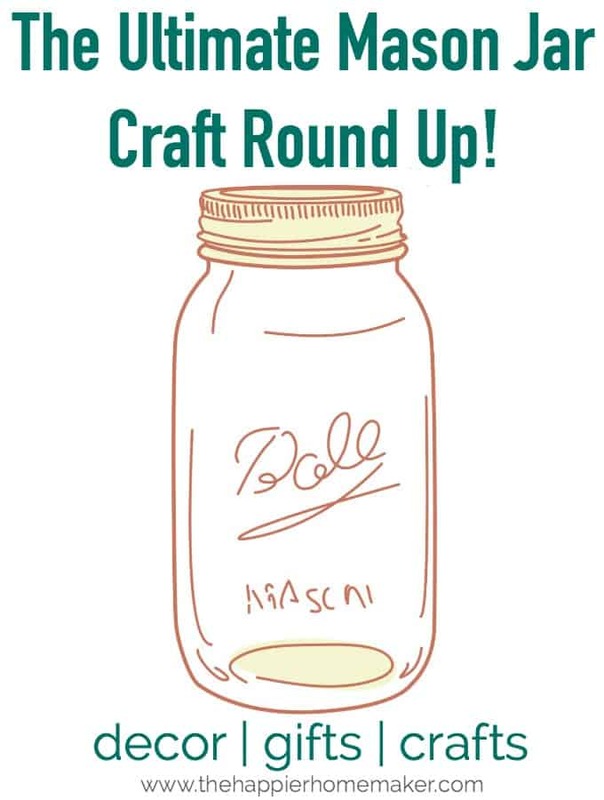 We have a great roundup this month I think everyone loves mason jars and the ways to use them are endless. I love them for storage too. I make soup in big quantities, put it in pint jars, and freeze it for later. It’s the perfect size for one person serving. Mmm, that sounds like a very tasty round-up!